As stated by Mr. Topping, peer learning has extended beyond the classroom. This is true for many libraries throughout Berks County. As Youth Service providers, we have seen a shift in the way we do programs. Our teens are using their talents and the things that they have learned to take the lead and are able to co-facilitate or run programs for their peers. At the Boyertown Community Library, Lisa Rand, Youth Service Coordinator, has a number of programs that use this model. In fall of 2018, a 9th grade Boy Scout earned his volunteering hours by planning and facilitating a 4-week beginners coding class. He says, “this experience was rewarding in several ways. I truly had fun designing and planning the lesson content. While teaching the lessons, I felt appreciated by the younger students as they learned new skills in programming. It was a great learning experience for me discovering how to juggle the needs of several students working at different paces. This opportunity allowed me to develop closer ties with the local library. I would gladly provide similar services again”. At the Reading Public Library-Northeast Branch, the Anime Club gets together to discuss anime and art. Angelique Krohn, Youth Program Coordinator says, “The kids build better relationships when they’re teaching each other, rather than listening to me, and feel invested. They know more about the topic. You are never too young to share what you know. At Spring Township Library, Youth Service Coordinator Candance Donato facilitates Leggo’s to Eggo’s and Legos Club. These young builders share ideas, collaborate, and work on their social skills. “[Peer to Peer Learning] is important because this is how the real world works,” Candace says. Noel Christman, Director of the Oley Valley Community Library hosts, STEAM Saturday, which is a parent-supervised program that offers makerspace free time for early elementary school-aged children. “The kids choose to make their own [log cabins] or make it in a group. They brainstorm together on materials needed as well as how to construct their log cabin,” Noel says. They also provide an adult writing class that is completely designed and run by the adult patrons. We as professionals can also benefit from peer learning as exemplified by Youth Service Coordinators Jacki Mae Clark, Muhlenberg Community Library, Andrea Hunter, Mifflin Community Library, and Meghan Golden, West Lawn-Wyomissing Hills Library. 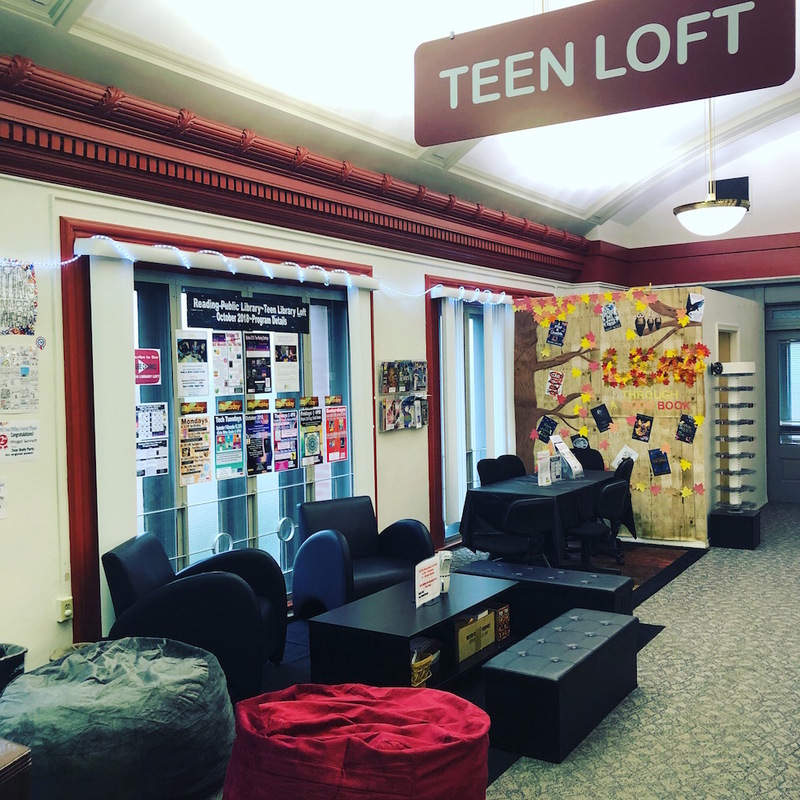 Jacki Mae Clark participates in Teen Reading Lounge, an award-winning, non-traditional book club for teens ages 12-18 that is supported by Pennsylvania Humanities Council. “I communicate with other libraries that have this program in order to better comprehend how to communicate the humanities to my teens who are involved. It would be silly to reinvent the wheel instead of asking another peer.” Jacki says. These libraries have demonstrated that peer learning is invaluable no matter the age range. Peer to Peer Learning makes people feel needed and empowered. It is a rewarding experience. Attendees feel welcome and a part of their community. For teens, in particular, I believe that the benefits are endless. Teens feel like they have a voice. Their ideas and talents are being recognized at a critical time when they are discovering who they are and their place in the world. They learn critical social skills that help them put down the phone, stop texting or checking social media, and interact with people face to face in a safe environment. We do not have to be the experts. We use community partners all the time. We need to recognize that our teens are a part of the community as well. They have many gifts that they can share. If you take the time to get to know them, you will be pleasantly surprised.